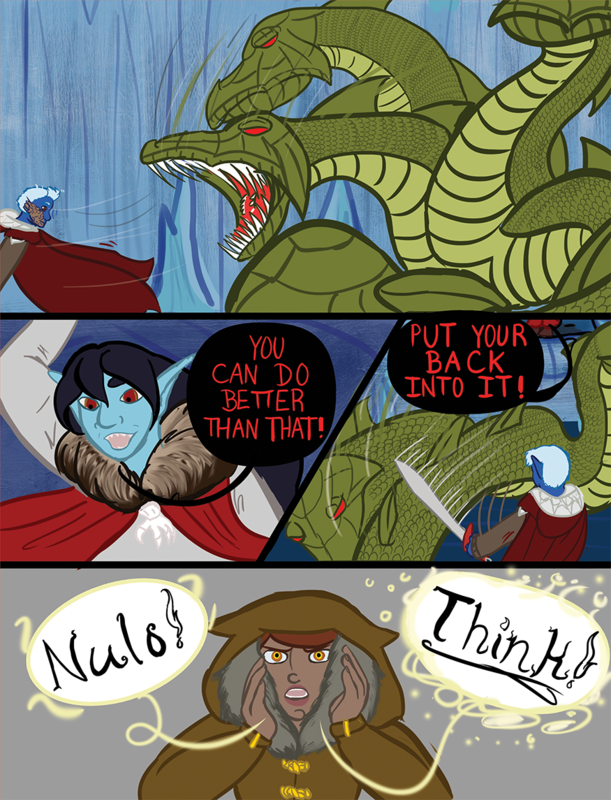 Chapter 09 - Monsters - "Chapter 9 Page 23"
Nulo cmon now this is why we can’t take you anywhere. One of my partners on Luxa: I love that she doesn’t help, she just yells at him to think. Like damn. He’s about to get eaten she could be clearer in her advice. Sparrow: You can do better than that! Sparrow: Put your back into it!